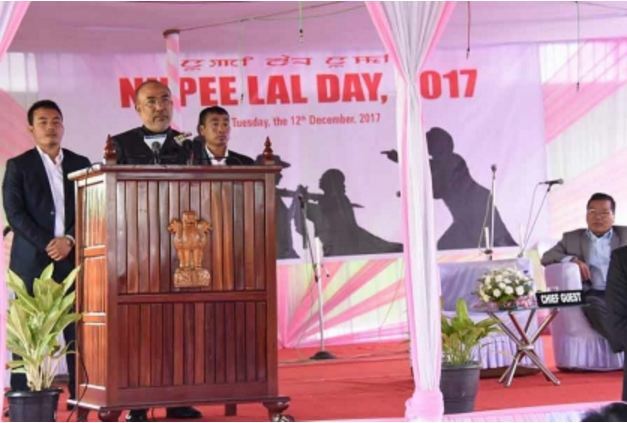 IMPHAL | Dec 12 : No power or force in the world can disintegrate Manipur if the people of the state stand united, said chief minister, N. Biren Singh at the observation of Nupi Lal Day, held at Nupi Lal Memorial Complex, Imphal today. Speaking as chief guest of the function, the CM stated that people of the state should never allow any chance to divide the state and make sure to stay away from divide and rule politics. He continued that there should be no differences among the various communities towards bringing unity and integrity of the state. He reiterated that various rumours, observations, speculations have brought tension among the people of the entire northeast and Manipur in particular these days. In such a situation, womenfolk have a crucial role and responsibility to stabilise the situation, he added. ‘We have been living with certain imagination, speculation and mistrust among us for a long period of time. We need to stand together irrespective of political and community affiliation for better and prosperous Manipur’, said N. Biren. Calling out to the people especially the womenfolk of the state, the CM said that every person of the state should urge the centre and present the standpoint and opinion for a stable, peaceful and better Manipur. He said that the government cannot do it all alone and needs love and support of the people. 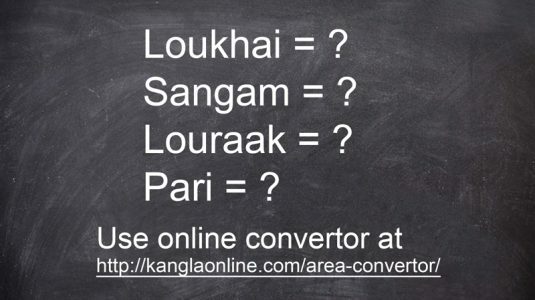 All the stakeholders whether it is armed rebel groups or any group should take part in bringing a permanent solution in entire northeast and Manipur, he added. Biren also stated that the new government has already started working towards bringing a ‘new Manipur’. With the love and support of the people, the state is also experiencing no bandh in the last 7-8 months, he added. Lauding the role and sacrifices of Manipuri women, the CM said that people should always remember the courage and selfless sacrifices of the brave women who fought against the mighty British Empire in 1904 and 1939. He also appealed the women of Manipur to come out and lend their support in bringing peace and tranquillity in the state. Manipuri women’s role in the removal of the Assam Rifles from the sacred Kangla in 2004, against Armed Forces Special Powers Act 1957 and withdrawing of AFSPA from IMC areas of the state is commendable and would always be remembered, he added. The CM led the people in offering floral tributes to the memorial statues. A drama on ‘Nupi Lal’ was also staged by Nupi Lal Memorial Association and Nupi Lal and Khongjom War Memorial Society to mark the occasion. Minister for Agriculture, V. Hangkhanlian, minister for Power, PWD, Th. Biswajit, minister for Forest and Environment, Th. Shyamkumar, minister for Education, Th. Radheshyam, minister for Social Welfare, Nemcha Kipgen, chairman of Hill Area Committee, T.T. Haokip, chairman of Manipur Pollution Control Board, L. Radhakishore, chairman of MANIDCO, Dr. Y. Radheshyam, chairman of Tourism Corporation of Manipur Limited, Dr. Sapam Ranjan, former Union Minister, Th. Chaoba and other top civil and police officials attended the function.